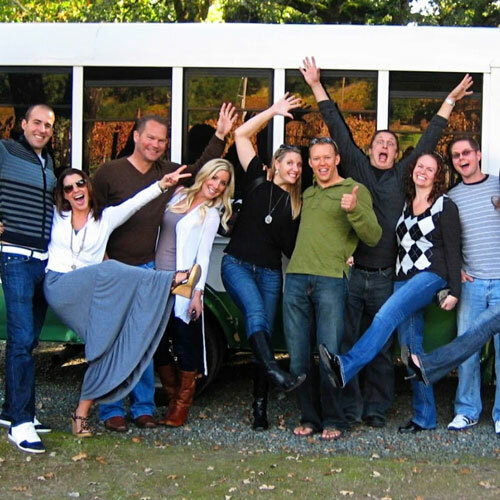 Napa's BEST wineries for big groups! Bachelorettes and wedding parties, reunions, big corporate events, take note - you CAN get discounts if you pick the right wineries to visit! Bachelorette parties, corporate outings, college friend reunions, take note! Most Napa wineries require groups of 8 or more to make reservations if you want to taste. And not all group friendly wineries are created equal - some will charge you a premium for your group, some will put your group in the long line of crowds to fend for yourselves, while others will actually give you discounts. Wait, what? That's right, some wineries actually will welcome your group with reservations as well as give you discounts on your tastings if you have a Priority Wine Pass, the handy two for one card for Napa and Sonoma. Just remember that no matter what you do to make those reservations. Pop in groups of 8 or more are rarely welcome in the wineries so plan it out before you come. Email Me for Free Advice! Get 2 for 1 tastings and free wine with the Wine Pass - Special Discount for Local Wally readers. How Do I Do Group Tastings Without Driving? NEW! 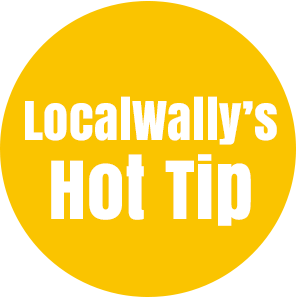 LET LOCAL WALLY PLAN YOUR GROUP VISIT TO NAPA OR SONOMA FROM START TO FINISH! You email me with your total number of people and date you will be here. Give me at least 2 weeks notice. Let me know if you want lunch and transportation as well. I'll contact the wineries and check for availability. I'll send you the agenda. If you like it and want to book it you don't pay me, you book through the Priority Wine Pass. They will make all of the arrangements and send you a confirmation letter and contact names at the wineries. The following wineries accept the Priority Wine Pass and offer discounts to your smaller group. If you're the one planning the outing I recommend that you purchase the passes for everyone - get one pass for for every two people - and then collect the money (around $20 per person) from each person the day of event. This is way easier than trying to make sure that everyone buys a pass. Order it here to get my discount, still just $39.99 for every two people. Note that the winery might not give you a standard two for one that you would get coming in without a group, but they will discount it for less than you would get coming in without it. For groups larger than 10 I suggest you email me directly as it's often cheaper to NOT buy the wine pass and to let me call the wineries for you directly. I know the wineries that like groups and the ones who have taken care of my readers in the past so it's a nice win-win-win for everyone. MYTH 1: YOU DON'T NEED RESERVATIONS: Totally wrong! While there are some wineries who will allow groups of 10 of less to pop in what they don't tell you is that you can be turned away. Castillo di Amorosa, the famous castle that attracts groups like bees to honey, is quite clear that if they hit their visitor limit they turn away people who arrive without reservations. V Sattui, another big group destination, limits the time slots groups and shuttles or buses are allowed access. Bottom line, make reservations! MYTH 2: I DON'T NEED TO PAY EXTRA FOR MY OWN SERVER: While a small group can get away with standing in line for a break at the bar a large group should have their own area and their own server. You want everyone enjoying the same wine as the same time, not having everyone scattered at the bar trying to get someone's attention. Think of it this way - if you were going out to dinner with a group of 12 would you rather go to a food court or a sit down restaurant? Avoid wineries who put you in lines. MYTH 3: YOU CAN POP IN WITH COUPONS OR A PHONE APP AND GET TWO FOR ONE'S! Totally not true. Most wineries will not accept discounts or two for one deals if you come in with a large group. And forget about sharing tastings. Most wineries charge by the head, not by the glass. MYTH 4: YOU CAN BRING IN MY OWN FOOD AND REALLY SAVE SOME MONEY: Sorry, but most wineries have policies and restrictions on outside food. I know some that still allow it so if this is something you want to do make sure you contact me or the wineries to verify before arriving. MYTH 5: YOU DON'T NEED TRANSPORTATION: Forget about Uber or having people drive themselves, just hire a driving company. Yes, it's expensive but if you are planning a group event you need to factor this in. If you are really tight on budget get with me and I can show you how to do a group event where you walk to tasting rooms. It's not quite the same as visiting wineries but after a couple of glasses no one will notice! ANDRETTI WINERY: Beautiful old world winery with a nice outdoor area, picnic area. They can do groups up to 40 people if you work through me but limit it to 6 if you go at it alone. No outside food. 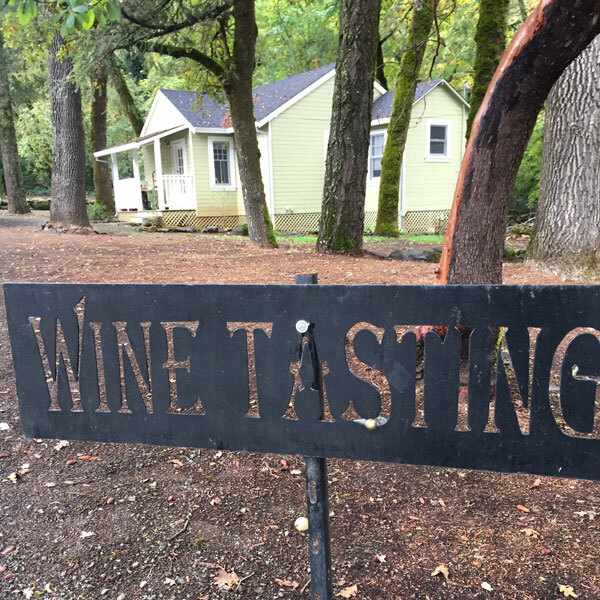 AUBURN JAMES: Exclusive offer, Auburn James Winery is a boutique tucked away from the crowds with a lovely tasting room, bocce ball, and they can even cater a Dean & Deluca lunch for you. Groups up to 12. Highly recommended! BENESSERE: I love this winery with its Italian style wines. Groups up to 12. BOUCHON VINEYARDS: This one is incredible. Located between Napa and Sonoma they are very group friendly and have picnic tables and even allow outside food. They can take large groups. BRIAN ARDEN: Fantastic winery, perfect for groups up to 75, taste in their caves, catered lunch or dinner, you can even rent out the entire property or patio or cave room. This one's a winner, email me for more info. CANIHAN WINERY: At the south tip of Sonoma is Canihan Wines, a true small family winery where you'll taste in their barn and sometimes served by Bill Canihan himself. Authentic experience. Limited to groups of 8 or less. CONN CREEK WINERY: Fantastic wines here, get a discount for groups 10 or more if you work through me. JUDDS HILL: Off the beaten path and tucked away in the vineyards, a terrific winery with an outdoor tasting area. 2 for 1 with wine pass. Limited to groups of 20 or less. MAXVILLE WINERY: Off the beaten path and fantastic setting, can accommodate groups up to 200! Email me for more info. PINE RIDGE WINERY: A very popular winery for those who know wines, they offer group discounts if you book through me. V. SATTUI: Extremely popular picnic spot and winery with inexpensive pours, show up with your Wine Pass and get 2 for 1. Deli area, picnic area, no special treatment but groups welcome. Groups of 10 or less are OK without reservations. Be aware that if you pull up in a shuttle or bus without a reservation they will turn you down. VEZER: Cute as a button winery, up to 30 people. WM Hill Winery: They typically have no deals but if you reach out to me with a group of 10 or more I can get you a discount. 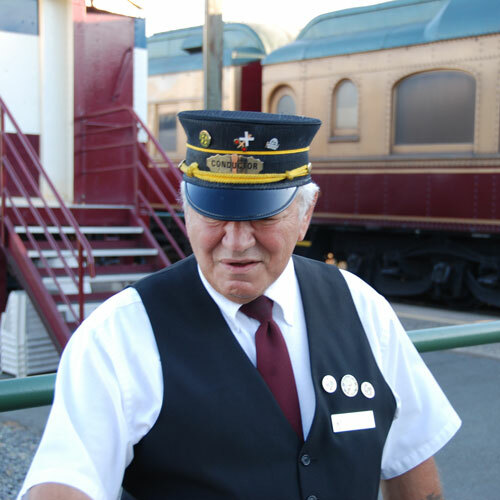 NAPA VALLEY WINE TRAIN - PERFECT FOR GROUP OUTINGS! Another option for your group is to jump on the Napa Valley Wine Train. Priority Wine Pass has a deal with them that knocks off $25 per person for up to four people. That means you buy one Wine Pass for $39.99 and get $100 off, a net savings of $60. 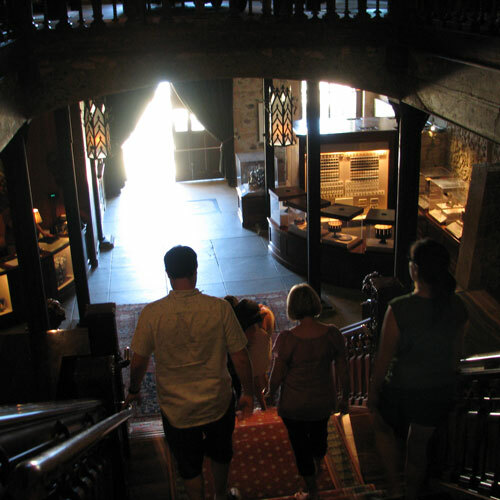 The discount applies to their gourmet lunch or dinner excursion as well as the super cool Castillo di Amorosa (The Napa Castle) trip. If you are coming with a group larger than four people you will need more than one pass. Email me if you have any questions. Sometimes figuring out transportation and getting people in your group to agree on what to do is enough to drive you bonkers. When you get to that point you should contact Platypus Tours who will totally hook you up with a shuttle, a friendly driver who knows Napa or Sonoma, and who will select all of your wine tasting stops. The tasting fees are not included but that just means everyone pays their own way at each stop, a nice alternative to collecting money from your guests. WANT MORE INFO ON THE WINE PASS?